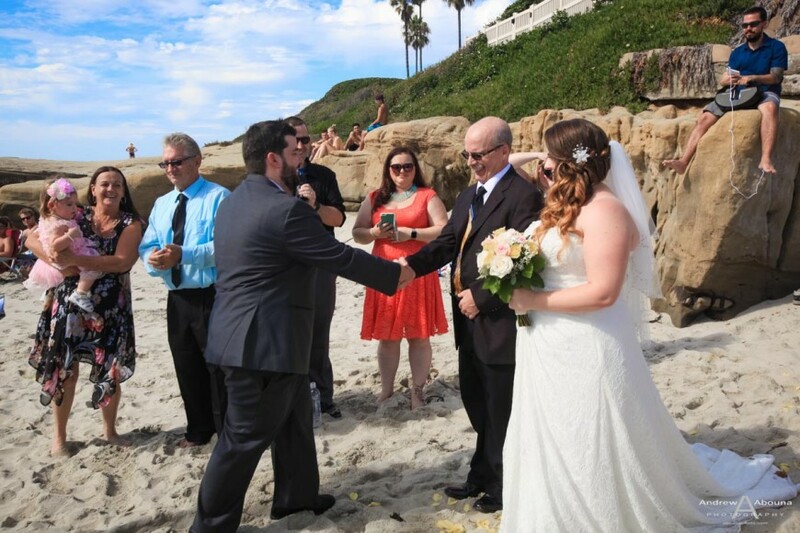 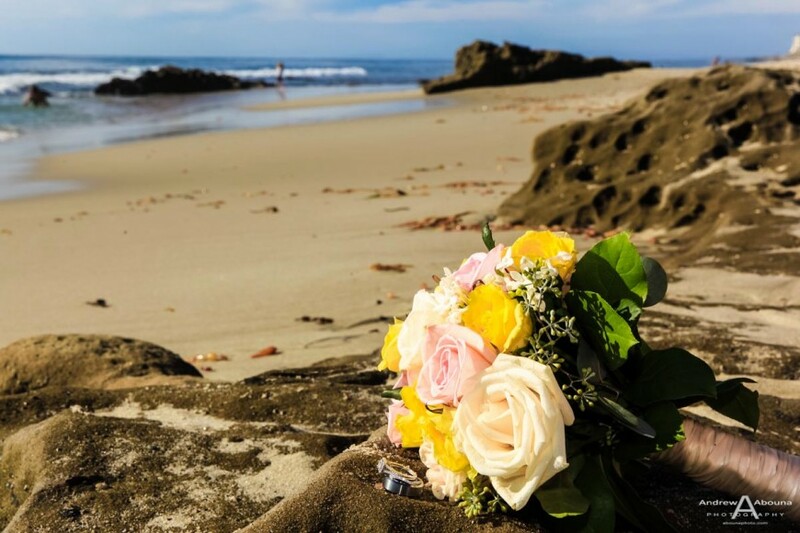 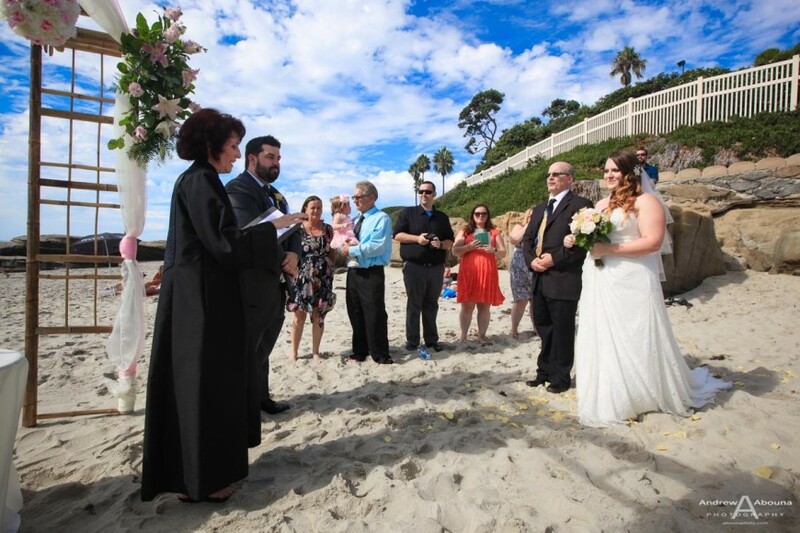 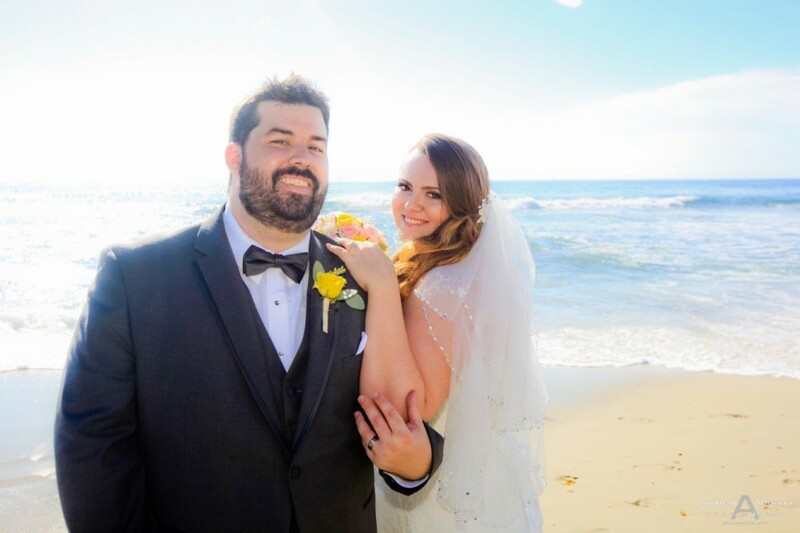 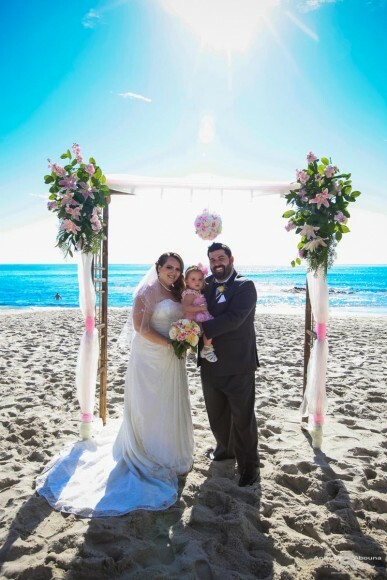 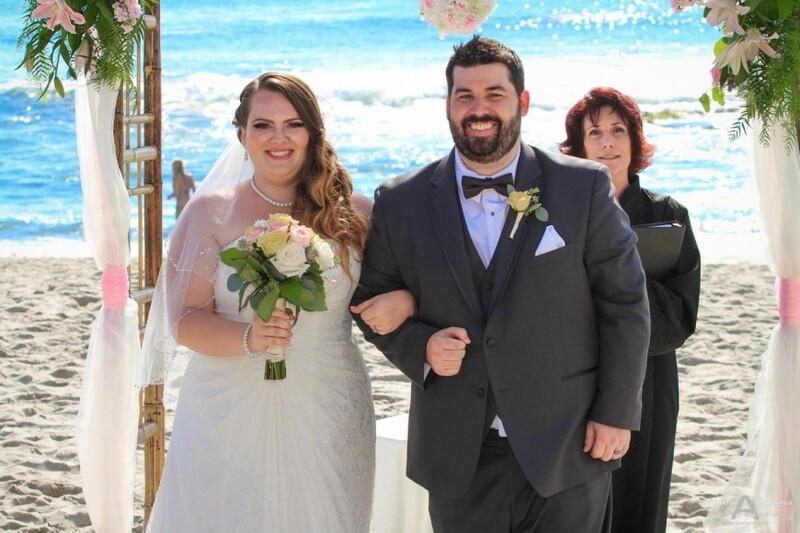 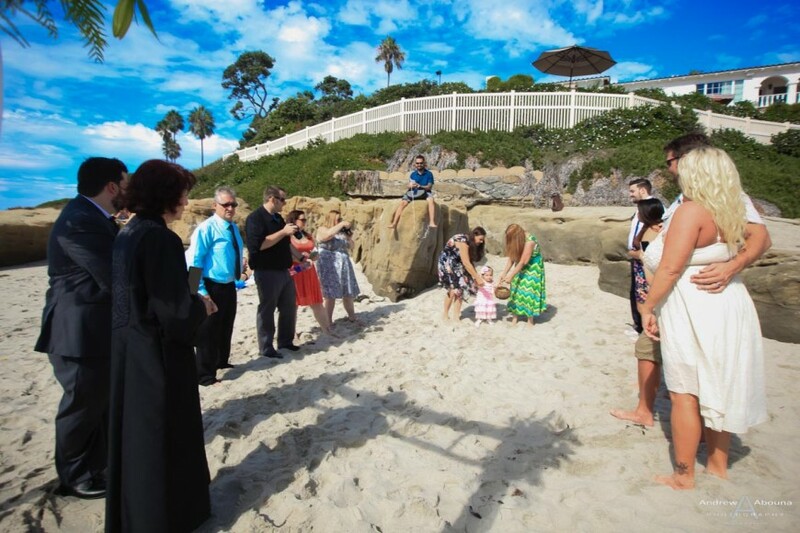 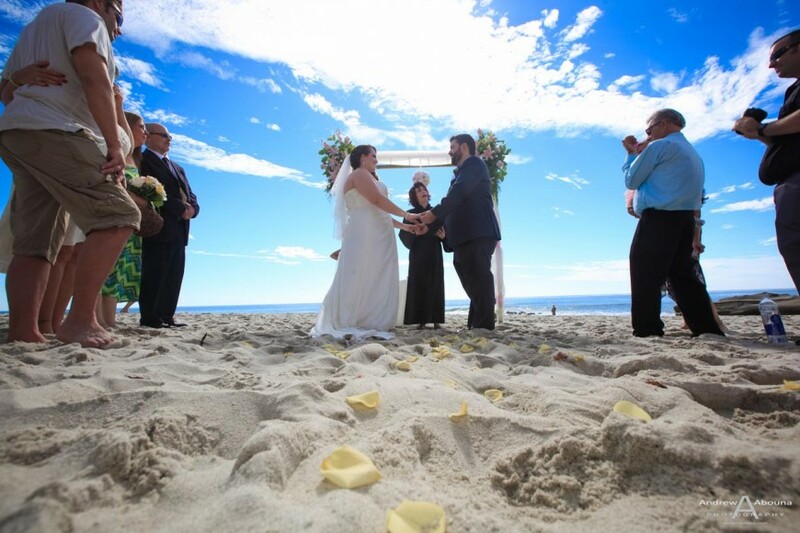 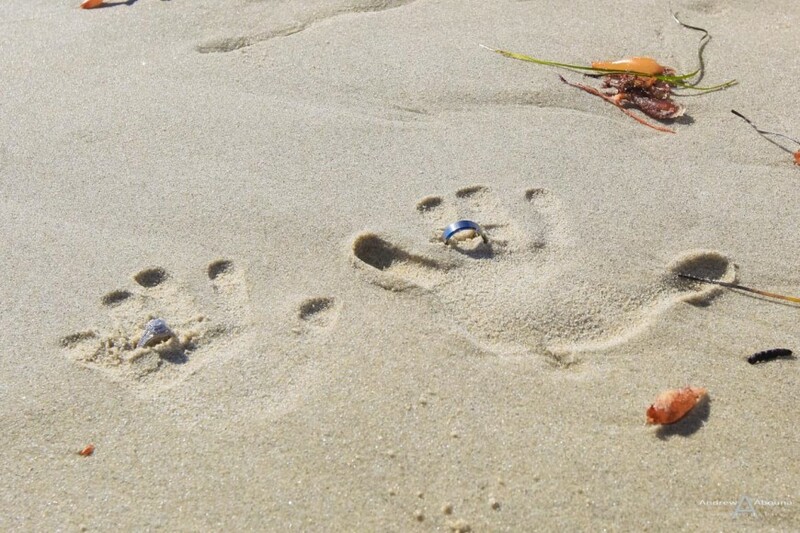 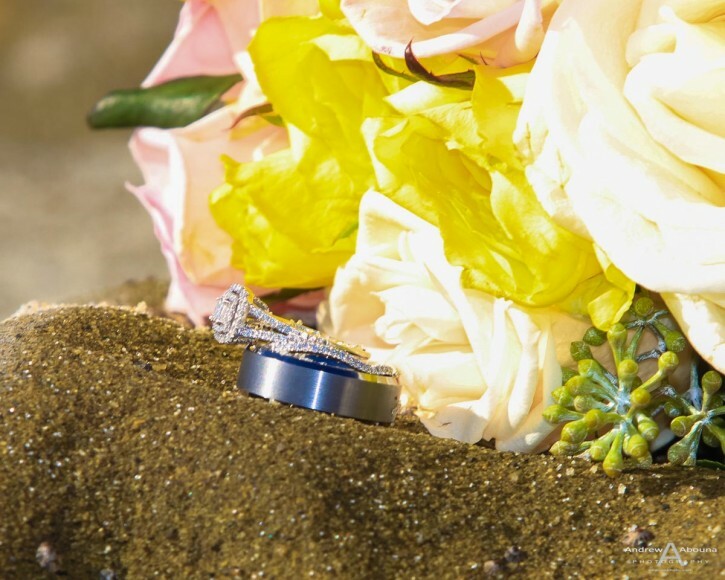 On a sumnertime-like day on the sandy Southern California shore at Windansea Beach in San Diego, Nicole and Keenan exchanged vows and rings and were married to the delight of family, friends and sunbathers. 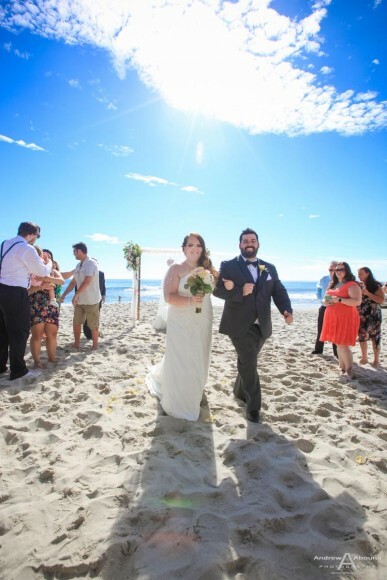 The lovely coastal San Diego community of La Jolla always makes for a perfect seaside destination wedding location because of the spectacular beach views like the one for this Windansea beach wedding. 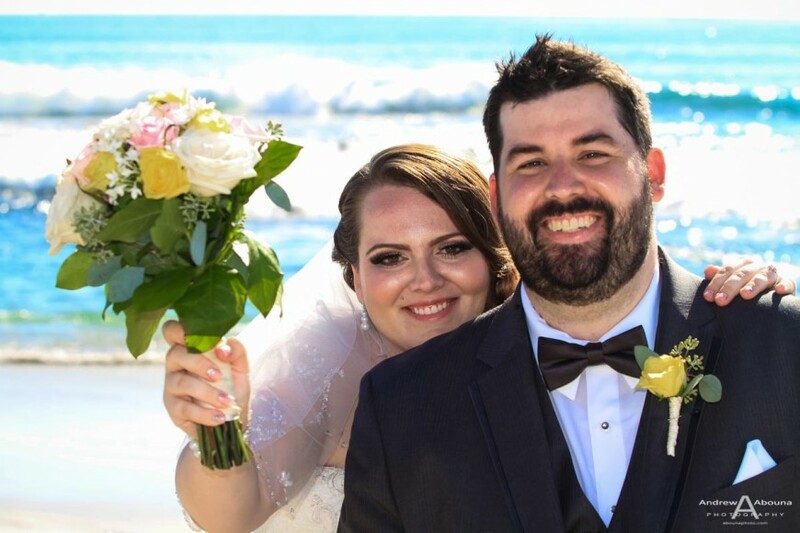 Even with especially hot, summer-like weather the couple’s destination wedding couldn’t have been more wonderful to photograph. 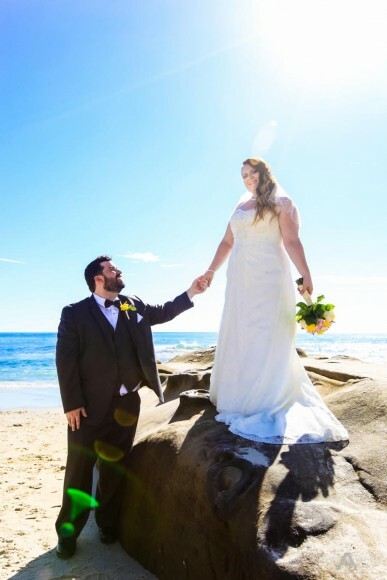 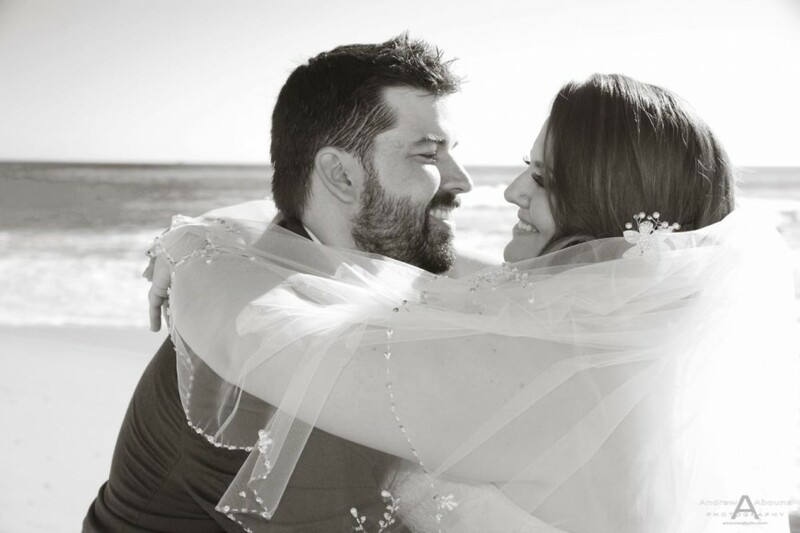 Nicole and Keenan had travelled from out of state to enjoy the beauty of their Windansea beach wedding, and it was worth every bit of their planning. 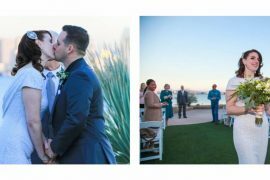 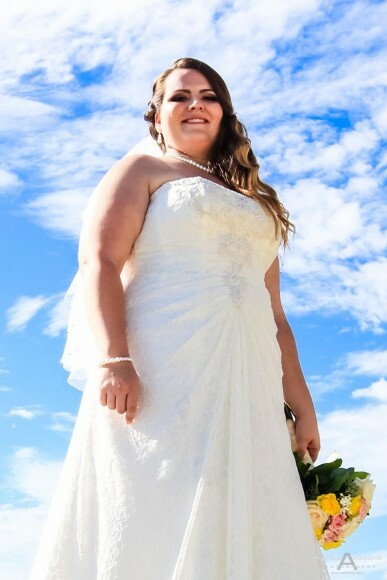 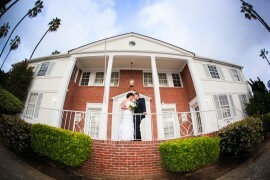 Although they only required a relatively quick one-hour of wedding photography, their collection of wedding photos is very complete because of the nice variety of shots created for them. 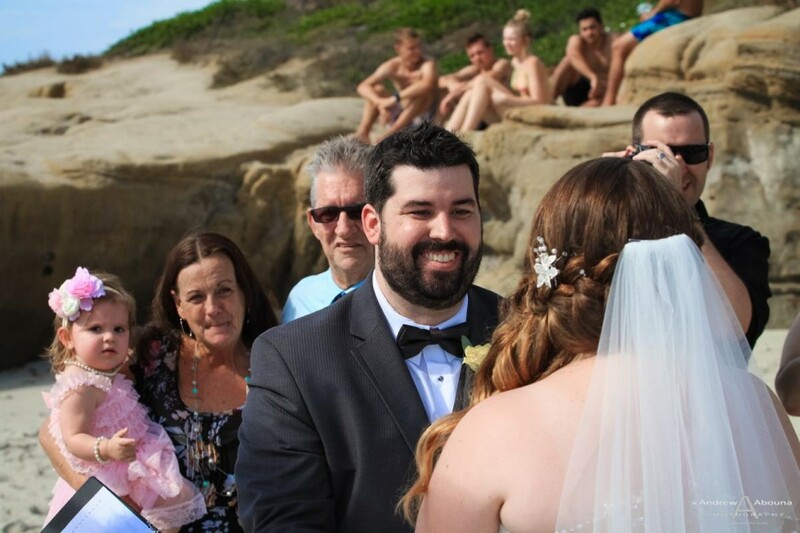 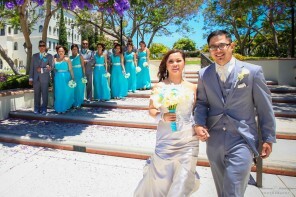 The couple’s Windansea beach wedding photography includes shots of the anticipation before their wedding ceremony, the ceremony itself, and a great mix of posed photos, a group photo, and creative shots of just the couple. 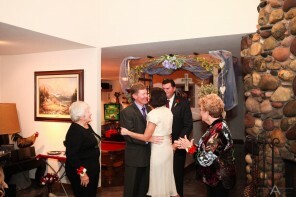 Their officiant for the wedding ceremony was the wonderful Reverend Cathy Glenn of Ever After Weddings. 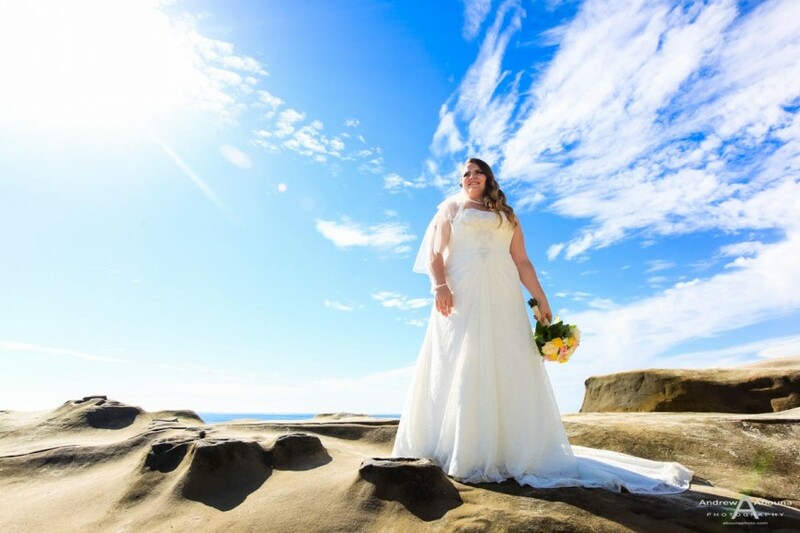 Nicole and Keenan’s Windansea beach wedding photography includes a private online gallery of photos to view and share, a collection of prints, a DVD with all of their photos in high resolution and full print rights. 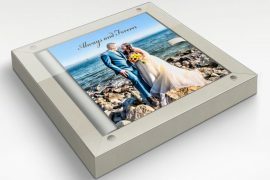 And with so many great wedding photos created for the couple, the very best way for them to enjoy all the photos is going to be in a beautiful, Italian-made wedding album so that their images of their day are always available to see and touch.